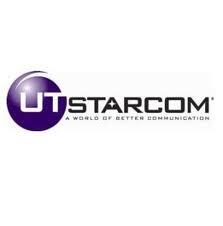 Himanshu H. Shah‘s Shah Capital Management uped its holdings of UTStarcom Holdings Corp (NASDAQ:UTSI). The fund revealed a position of 9.85 million ordinary shares, which amount to a 25.99% stake in the company, up from the previously held 7.85 million. According to a UTStarcom press release, Shah Capital Management entered into a Share Subscription Agreement with the company, whereas, under the terms of the agreement, the fund subscribed for and purchased 2.00 million ordinary shares at a price of $2.67 per share. The price represents 1.3% premium over the 30-day weighted average of the Company’s stock price as of March 10. UTStarcom Holdings Corp (NASDAQ:UTSI) is a global provider of IP-based, and Broadband Network Solutions for Telecommunications operators. In the 3rd quarter 2013 press release the Company declared that it closed the divestiture of its IPTV business in August 2012, removing unprofitable revenues, and that it expects total revenues for 2013 to decrease with respect to 2012. In 2012 the company reported a loss per share of $0.33, 75% worse than the consensus analyst estimate of $-0.15. EPS estimates for the following years are optimistic, with losses shrinking to $-0.05 for 2013 and earnings of $0.12 per share for 2014. UTStarcom’s shares closed $2.64 on March 14th, the mean target price for the stock being $3.00, accompanied by an average analyst recommendation of “Strong buy”. Other significant shareholders of UTStarcom Holdings Corp (NASDAQ:UTSI) include Phil Frohlich‘s Prescott Group Capital Management and Chuck Royce‘s Royce & Associates, holding 2.31 million shares worth $6.39 million and 910,000 shares worth $2.52 million respectively. Shah Capital Management’s largest 13F portfolio allocation represents 36.20% in the Industrial and 33.90% in the Technology Sector. 36.15% of the equity portfolio value is invested in 2.30 million shares worth $48.08 million shares of China Yuchai International Limited (NYSE:CYD). The fund also holds 1.23 million shares of Chiquita Brands International Inc (NYSE:CQB) worth $14.45 million.